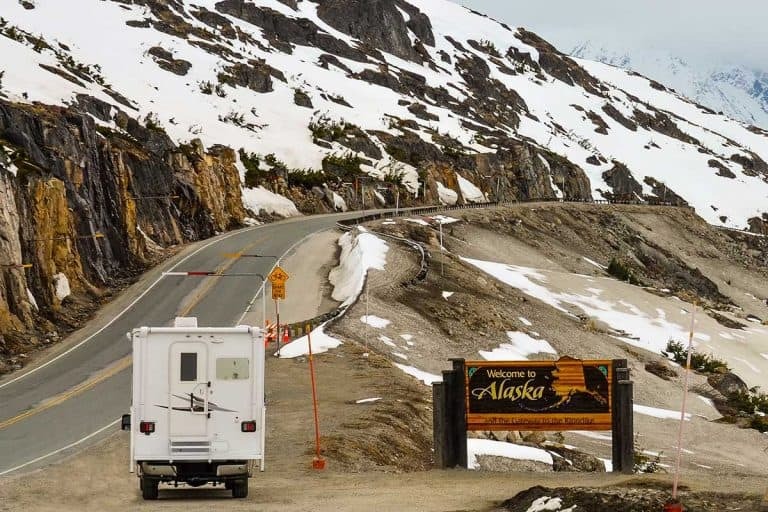 Driving your RV cross country and looking for a free place to stop for the night? Can you park your RV at Walmart without a problem? We were wondering the same, which sent me down the path of research. Sharing the results in this post. Yes, many Walmart Supercenters welcome RV’ers for a single overnight stay – as long as you get permission from the manager. However, in some cases, parking overnight at a Walmart is prohibited, either by the store itself or due to local ordinances so you should always check. How to tell if you can park your RV overnight in a specific Walmart? Tips for increasing your chances of being allowed to Wallydock for the night. The etiquette of parking overnight at a Walmart. And then some more. 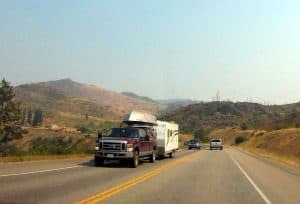 Grab a coffee, this is one of the longer posts in this blog – but reading it in the full can save you money while RV’ing. Understanding just how to go about it can save you time, money and heartache, so keep reading. If you’re an American born and bred, you’re probably rolling your eyes at the question. Scroll down a couple of paragraphs and we’ll see you there. For you non-Americans then. If you’re visiting the United States from another country, you may not be familiar with Walmart. This giant retailer includes grocery stores, department stores, and hypermarkets. Walmart is an American icon. That’s not to say that Americans love their Walmart. Many hate it with a passion. No one can ignore the huge chain though. For our purposes, when you travel across the US in an RV, you’ll see Walmarts everywhere. They almost always have huge parking lots and are conveniently located near major towns and cities. That’s a very attractive place for stopping overnight with your huge motorhome or trailer. The question is can you – and how. First, know the difference between a regular Walmart and a Walmart Supercenter. Not all Walmarts are created the same. Some of the Walmarts you’ll see are what are known as Supercenters. These don’t always have special signage but are identified as Supercenters based on their sprawling size. If you search for “Walmart Supercenter” in Google Maps, you’ll see them. These stores may start at 69,000 square feet, with a standard Supercenter roughly 178,000 square feet. What’s so different about a Supercenter compared to a regular, smaller Walmart retail store? They’re larger and usually located outside cities. The supercenters have more services. Often including fast food outlets, bank branches, hair salons and more. Opening times are generally 24/7. So, larger, located outside of cities and open 24/7. That makes Supercenters the better option for RV overnight stays. What Does “Parking at Walmart” mean for RV’s? Whether at a Supercenter or a smaller branch, Walmart allows vehicles of all sizes, including RVs, to take a spot on its many spacious parking lots. There are often special colorized lines at some Walmart parking lots letting you know just where you can park your RV. If you don’t see these, you can still try parking if your vehicle will fit. Parking at Walmart is known as Wallydocking, which we’ll now explain. Wallydocking is a play on the term boondocking, which is also called dry camping. Wallydocking is simply parking your RV in a Walmart parking lot for an overnight visit. You’re not camping per se, and there are no hookups to be had here. That means you’ll be going without electricity and running water for the evening. It’s best to plan accordingly. While you can entertain yourselves on electronic devices like smartphones or tablets (and use Walmart’s Wi-Fi as applicable), you can’t recharge your RV batteries until morning. At campgrounds and hotels, you’d shell out money, but Walmart doesn’t charge you to use its parking lot. You can do it spontaneously. While you may want to call ahead (we’ll touch on this in more detail later) – you’re not required to. You don’t have to book a reservation. If you see a Walmart during your travels, which is likely, you can try and stop to stay for the evening. Many Walmarts welcome RVs to stay on their property, so they may have dumping stations in the vicinity. You should be able to use these to clear out RV waste. Also, a lot of Walmarts have their very own RV shopping sections in their stores. If you’re staying at a Supercenter, which is open 24 hours a day, you can pop in anytime to buy supplies. You can also use some services, such as their bathroom. It’s safe to park at Walmart. The stores are manned by security guards who are always on the lookout for any suspicious activity. This is both inside and outside the store. Given the size of most Walmart parking lots, parking is often not difficult. This is especially true if your Walmart has spots demarcated for RVs. It’s worth saying again: parking at Walmart is free! There’s no expectation that you’ll go in and shop, even if it’s always appreciated. You can room there without spending a cent. There are no hookups available. We mentioned this before, but we want to reiterate it. You cannot get water or electricity while in your RV if you Wallydock. You’d want to park away from the store, or else you could see store lights and hear people passing through all night long. This only applies to 24/7 Supercenters, but it’s a nuisance nonetheless. If your Walmart is in a major city, you never know what kind of people it could attract. That sometimes means thieves, vandals, and other miscreants can get to your RV. Lastly, Walmart just isn’t very nice-looking. It’s a big retail store with a basic parking lot. If you’re the type who likes to explore nature’s many wonders in your RV, then a Walmart parking lot won’t be very appealing to you. Earlier in this article, we mentioned we’d come back to the idea of calling ahead before you Wallydock at a Walmart. Not every single Walmart across the country welcomes the idea of RVs parking overnight. There are a few reasons why this is, which we’ll now go into. First, it’s easy to get greedy when presented with such a great opportunity as free parking. What’s stopping you from staying an extra night or two or three? Some people can ruin a great thing for everyone else, and this is one example of that. Also, some visitors might get a little overzealous. They may treat their stay at a Walmart parking lot more like a tailgate party, complete with a barbeque grill and music blaring from the speakers. Walmart is first and foremost a retail store, and this makes them and RVers both look bad. 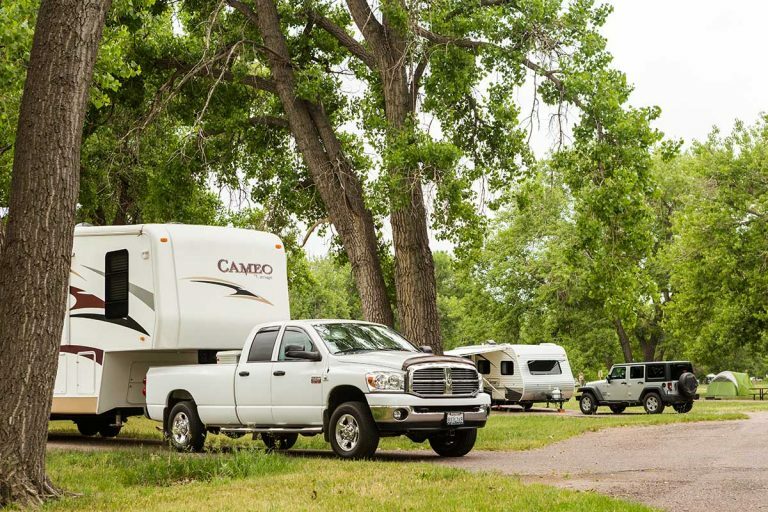 You know by now that parking your RV is often no easy feat, and you may need equipment to keep your vehicle in one place. Sometimes, gear like stabilizers and levelers can accidentally damage a Walmart parking lot. Any potholes or other damage you cause then make it a pain for customers and employees alike to park at Walmart. The store will also have to pay extra to get the parking lot repaved or otherwise fixed, which is inconvenient for them. Finally, the last reason some Walmart stores may be reticent to allow RVs in their parking lots is how much space these vehicles take up. There’s no hiding that a Class A or Class C motorhome can be a behemoth. Not to mention a heavy-duty pickup truck towing a huge 5th wheel trailer. Even smaller RVs and travel trailers are still not as small as a car and thus may be deemed to hog up too much valuable room. After all, the more space your RV takes up, the fewer parking spaces are left for other shoppers to park. That loses Walmart money. If you find that a Walmart doesn’t let RVs stay in the parking lot, don’t automatically blame the store. Sometimes it’s not their fault. The views of that particular town may leave Walmart’s figurative hands tied. 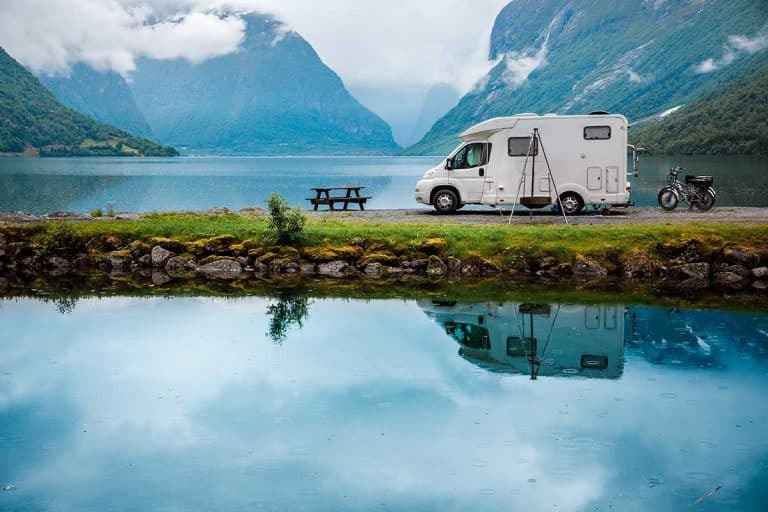 For instance, some towns and cities have specific regulations and ordinances in place that limit where RVs and other large vehicles can park. This is often to prevent vehicular congestion and reduce the risk of accidents. Also, economics come into play. When you stay at a Walmart for free, local motels, hotels, and campgrounds lose out on your business. These businesses may actively lobby to prohibit Walmart from letting RVers park for free. Lastly, some towns and cities have reservations about allowing out-of-towners and tourists to stay overnight. These people are considered strangers who could pose problems. If you travel far enough across the country, you’ll find that many Walmarts do welcome RVs parking in their lots. After all, it’s to their benefit to do so. It fosters a good relationship between RVers and Walmart. If you go to a Walmart and stay overnight, that changes your perception of Walmart for the better. In the future, if you have to do your shopping, you may go to Walmart or recommend it to someone else. It’s a huge goodwill gesture. That’s not to say it doesn’t line Walmart’s pockets, because it definitely does. It’s like we said before. If you’re Wallydocking at a Walmart and have no electricity or running water, you’ll probably need supplies. Maybe you’ll buy a movie to watch on your portable DVD player. Perhaps you need a space heater to stay warm, candles, or some water bottles and snacks for the evening. You can get all that at Walmart. You’re thus putting money into Walmart despite not paying to stay there. 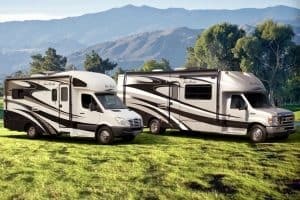 With so much back and forth about whether staying for free at Walmart overnight is a good idea, what is the store’s official stance on RVers? We found an answer on Walmart’s website. 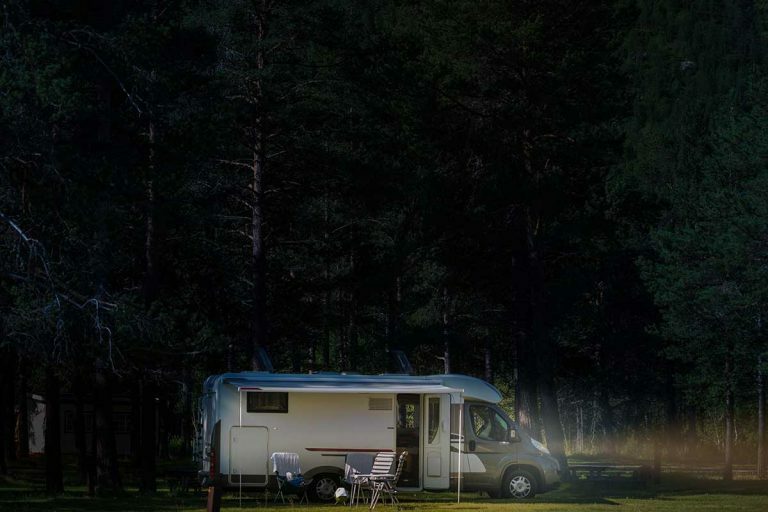 While we do not offer electrical service or accommodations typically necessary for RV customers, Walmart values RV travelers and considers them among our best customers. Consequently, we do permit RV parking on our store parking lots as we are able. Permission to park is extended by individual store managers, based on availability of parking space and local laws. Please contact management in each store to ensure accommodations before parking your RV. Walmart does indeed let RV drivers stay overnight, but they themselves acknowledge that that position varies from store to store based on management and local legislation. Knowing what you do now, you can’t simply assume you can park at every Walmart you find. You’ll want to do some research ahead of time to ensure your Walmart welcomes overnight visitors. Contact the Walmart by phone or in person. Call ahead as early as you can so you know this Walmart’s stance on overnight parking earlier in the day. This lets you make other accommodations if need be. When you do call, refer to your visit as “overnight parking” rather than “camping”. It’s better to get confirmation from a manager in person if you can. This prevents you from any hassles once you arrive. If the Walmart you planned to stay turns you down for any reason, don’t get mad. Keep calm and ask them if there are other nearby Walmarts that welcome RVers instead. 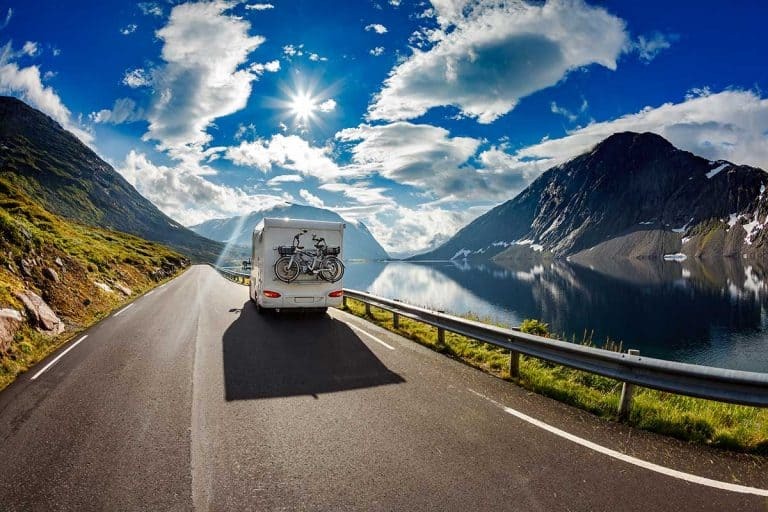 Visit your favorite RV forum of choice before your road trip. Ask around and see if anyone has parked at the Walmart you plan to stay at. Question them on their experience and how well the stay went. Download the AllStays app. As an RV owner, this is a useful app you’re going to want to have with you whenever you travel. For Walmart in particular, you can read reviews on stores across the country before you leave for your trip. Use the Walmart Locator website. The link we provided lists all the Walmarts across the country that don’t let you park overnight. You can see the city/town the store is located, its address, and even a phone number. It’s still possible to call and ask if the store by chance does allow overnight parking (it could happen), but this is a good list of stores to avoid if you want to Wallydock. Buy the Walmart Locator book on Amazon. These new editions have overnight parking locations for RVs. It’s nice to have onboard during your trips! While you should give other RVs their privacy, park closer to them. This way, there’s a cluster of RVs in one area of the parking lot. If other shoppers want to park, they’ll have the whole rest of the lot to do it. Don’t park near the highway. You’ll hear traffic noise all night and probably won’t sleep very well. Never park near the entrance or exit of the Walmart. These are busy areas, especially in the 24/7 Supercenters. Vehicles will always be coming into and out of the store, and you’re at a higher risk of being hit if you’re near the entrance or exit. If your Walmart has a fence around the perimeter of the parking lot, this is a safe place to settle in for the night. There’s less traffic and less noise, too. If you review that list from Walmart Locator, then you’ll see that there are already lots of Walmarts that don’t allow RVs. Whatever the reason, these Walmarts don’t want RVs around. 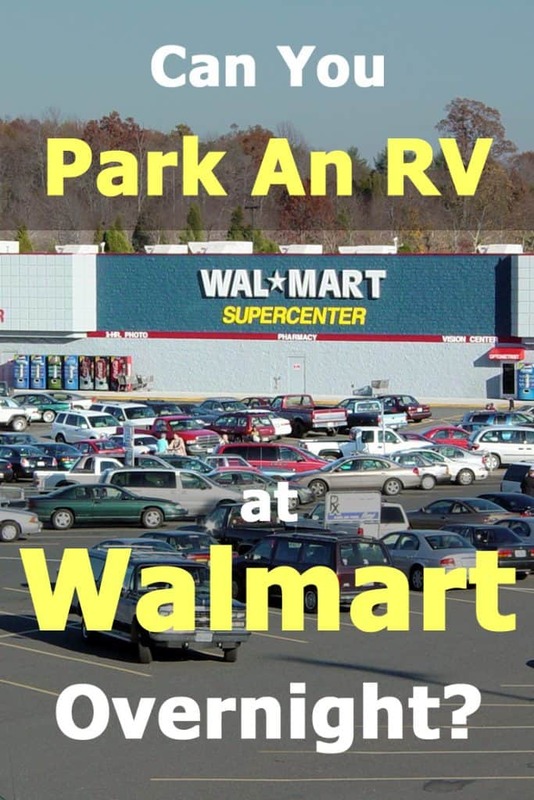 You want to keep Walmart as a free, viable parking option for yourself and your fellow RV owners, don’t you? Of course you do! That’s why we caution you to follow these Walmart etiquette rules. These aren’t official or anything, but they’re good rules to abide by nevertheless. Keep your trip to a single night if you can, but certainly no more than two evenings. If you do plan on staying for more than one night, you should check in with the store manager and get their permission. Second-night stays are sometimes allowed but don’t be presumptuous. Always get confirmation first. If you need supplies, equipment, food, or anything else, buy them from Walmart above other stores. Don’t set up like you would if you were camping. That means keep your folding chairs inside and your awning down. If at all possible – don’t pull out your slideouts. Stay in your vehicle for the most part. Don’t blast your music. If you are going to listen to music, put in headphones. Even in a closed vehicle, if your music is loud enough, people outside can hear it. Check your stabilizers, levelers, and other gear before you park. Will they damage the parking lot? If so, you might want to consider alternatives that cause less harm. Avoid unhitching your fifth-wheel or trailer if possible. You’re only here for one night, two max, so don’t get too comfy. Be aware of other activities that cause a lot of noise, such as using a generator for power. Avoid these as best you can. Be polite to everyone you come across, even non-employees and staff. Remember, you’re staying on someone else’s property, so be considerate and gracious. If you get turned down for parking overnight at a Walmart, you don’t always have to mosey over to the nearest hotel or campsite. Here are some other alternatives that you might be interested in. Like Walmart, they allow for overnight stays at no charge to you. That said, it is better if you shop/eat at these establishments first. Now, there are a few rules you should abide by. First, if any of these stores are located in a mall, then you can’t park overnight. Also, if you don’t see any RV parking available, you’ll probably have to look elsewhere. Finally, just like you would at Walmart, pop into the store/restaurant first and ask a staff member if you can park there overnight. If you can, you’re golden! Having researched this topic in depth and reading other people’s experiences, my impression is that Wallydocking is a dying art. It looks like more and more RV’s either get turned down at Walmarts or worse – asked to move in the middle of the night. In a way, being told ahead of time is better. I’ve read stories of people who had already settled in for the night, including a meal with a few glasses of wine or a couple of beers. Not a state to start moving your RV on the road again, looking for a place to stay past midnight. That doesn’t mean you should give up on trying. It just means you should take follow on the advice provided in this post, more than ever before. Insist on talking to a manager, and ask for their name. Ask them to talk to the night shift manager too. Do whatever you can to make sure that particular Walmart is ok with your stayover. Be as unobtrusive as possible, and polite too. This will not only increase your chances of getting through the night without an issue, but also improve the standing of RV wallydocking in general. Previous PostCan You Have a King Sized Bed in an RV? What Exactly Is a Fifth-Wheel? 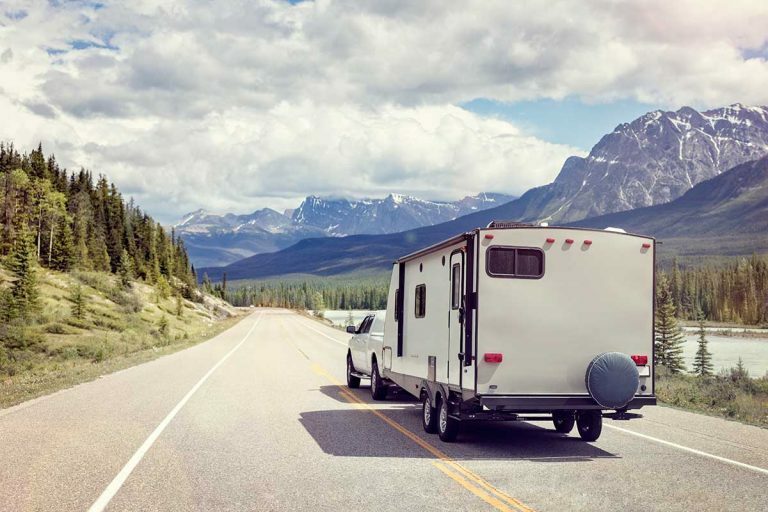 How Fast Can You Safely Drive When Towing an RV?